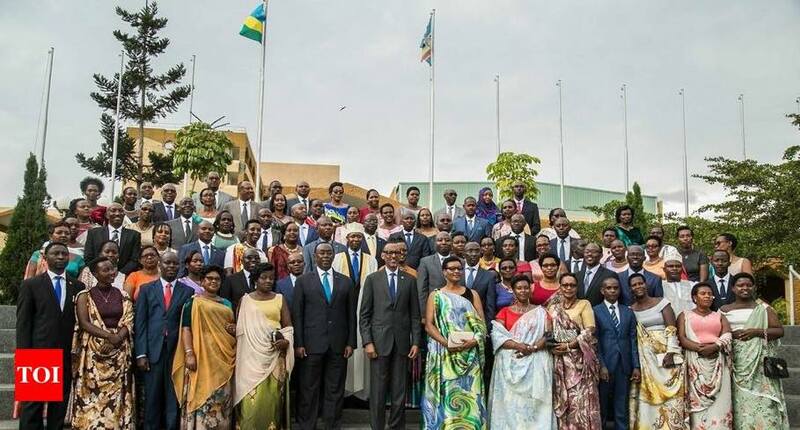 Last year in October, Rwanda became the second African nation to announce a gender-balanced Cabinet with 50 percent of its member’s women. The East African nation announced that women now make up half of the slimmed-down, 26-seat Cabinet. It joins a handful of countries, mostly European, where women make up 50 percent or more of ministerial positions, according to the Inter-Parliamentary Union and United Nations (UN) Women. Ethiopia's move was the latest in a series of dramatic political and economic reforms under Prime Minister Abiy Ahmed, who took office in April last year. Mr. Abiy reportedly told politicians that women are less corrupt than men. "A higher number of women in decision-making roles have led to a decrease in gender discrimination and gender-based crimes," Rwanda's President Paul Kagame said on Friday 18th October 2018 in remarks to judicial officials. That does not mean men should not be involved, the president said. "But you must play an important role in upholding the rights of women," he added. As for several African nations have had female defense ministers including South Africa, Central African Republic, Kenya and Guinea-Bissau, Rwanda has received international recognition for female representation in government, with women making up 43 percent of its Cabinet and 61 percent of parliament members; a very big thing for Africa!